Most people are dependent on their heater or air conditioner to live comfortably. What you may not know is your central unit could be doing more harm than good. Dirty air ducts can indeed lead to a number of problems, having your air ducts professionally cleaned the simplest solution. After all, the benefits of having ServiceMaster by A1 clean your air ducts speak for ourselves. Dirty air ducts clog the air flow, forcing your system to work twice as hard. However, having your air ducts cleaned professionally removes all obstacles, allowing the central unit to work at peak efficiency. Properly maintaining your system can prevent costly repairs. A major step in your system’s upkeep is air duct cleaning, decreasing the likelihood of your system breaking down because of no strain, saving you time and money. There is nothing more unpleasant than an unidentified odor throughout your house. Dirty air ducts just might be the cause. 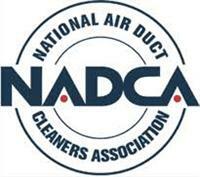 Fortunately, after we professionally cleans those air ducts, all you’ll smell is clean, fresh air. Dust and allergens can build up in your system, exposing you and your family to allergy flare-ups. A professional cleaning will remove the dust and pollens, sparing your family the misery of allergy attacks. The best reason to have ServiceMaster by A1 clean your air ducts is the money you’ll save in costly repairs, energy bills, allergy medicine, and even air fresheners. Dirty supply and return vent covers. Dark filtration lines on the walls, ceiling or carpet that surround the vents. Excessive dust in the home. Variance in temperature or air flow throughout the house. We are proud to be an active member of this community. ServiceMaster by A1 is locally owned and operated, so we’re already nearby and ready to help Southeast Ga residents and business owners with any size carpet cleaning or restoration emergencies.